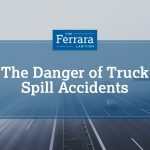 A single-vehicle accident occurred in New Jersey’s Union Township in May 2018. The accident was determined to have occurred when the vehicle struck a utility pole, which caused it to roll onto its side then land upright. One person was seen by medical professionals at the scene of the accident but was not taken to the hospital. The good news is that statistics compiled by the National Highway Traffic Safety Administration reveal that single vehicle accidents are most often caused by easily avoidable factors including speeding, driving while fatigued, and driving while under the influence of alcohol and drugs. As a result, motorists can greatly decrease the risks of these accidents by driving cautiously and obeying the rules of the road. There are a number of questions that arise when people are involved in single-car accidents. One of the most common questions asked is whether the driver is always responsible for the accident. The truth is, there are a variety of causes of single vehicle accidents. Poorly Designed Roads: Some single vehicle accidents occur because traffic signals fail to work properly or roads are not properly maintained. If an accident is caused by road conditions, a person is sometimes able to pursue legal action against the city, county, or state for the accident. These cases are frequently complicated and require the assistance of a skilled attorney. Unavoidable Accidents: These accidents occur when another person is negligent and forces a driver to respond quickly, which leads to a single accident. These accidents often involve a motorist who swerves to avoid hitting someone else but still ends up in an accident. Vehicle Defects: Sometimes, motor vehicles contain manufacturing like faulty brakes, incorrect alignment, or other defects that keep a vehicle from operating properly. When a defect is responsible for an accident, a person is often able to pursue compensation from the manufacturer for any resulting damage. While people who cause single vehicle accidents due to alcohol or drugs are often found responsible, there are often complicated issues that arise with insurance companies. Our law firm has significant experience helping motorists who respond to DUI charges and knows what it takes to make sure that your case resolves in the best possible manner. There are a number of complex issues that arise in single-vehicle accidents, which is why it is often a wise idea to speak with a knowledgeable lawyer. 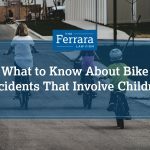 The legal team at Ferrara Law can help navigate the many obstacles faced by accident victims. Contact our law office today for assistance.